Karmann built 443,478 Ghias, ending production in 1974. MUNICH -- Volkswagen AG said it will establish a new car manufacturing unit at a Karmann factory in Germany. VW will buy the land, machinery and equipment formerly belonging to the Karmann holding company in Osnabrueck in VW's home state of Lower Saxony. The company will begin production of a new vehicle there in 2011, creating more than 1,000 jobs by 2014. VW did not say which car it will build at Karmann. German press reports say a cabrio version of the new Golf will be built at the plant. 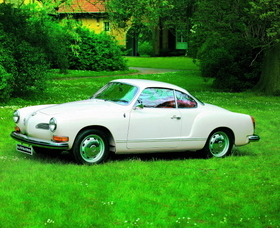 Karmann filed for bankruptcy protection on April 8 after new orders dried up. The coachbuilder and convertible rooftop specialist is most famous for building the VW Beetle-based coupe dubbed the Karmann Ghia. "Employees and former employees of Karmann have extensive experience in the production of small series models, and this experience will be accessed in line with requirements," VW said in a statement. Karmann developed the retractable hardtop roof first introduced with the Mercedes-Benz SLK. The idea was later copied by competitors, finding widespread use in popular volume models such as the Peugeot 207CC. In recent years, a trend among automakers to reduce outsourcing the assembly of entire models weighed on Karmann's order book. After delivering its last Mercedes CLK in June, Karmann's coachbuiding business was left without work. VW is the second European automaker to take control of a struggling coachbuilder. In July Fiat acquired a Carrozzeria Bertone plant near Turin. Starting late 2011, Fiat plans to produce up to 50,000 units annually of two Chrysler-based vehicles for sale in Europe. The first vehicle will be the next generation of the Chrysler 300C for European sales. The second model, due in 2012, could be an entry-level Maserati sedan slightly smaller than the Quattroporte.